Top advice on ways parents can collaborate with teachers and service providers to coordinate support in every environment. An exclusive interview with the founder of Spirit Therapies, an organization that uses equine therapy to help children with autism grow. A mother of a young man with autism shares a stressful shopping experience and provides tips that have helped her deal with tense situations. A former educator for special needs children shares a variety of apps and other digital tools to help children and parents overcome possible difficulties. A mother shares her very personal thoughts on raising a young boy with autism and her desire for understanding. The founder/director of Tech Kids Unlimited explains why learning the tools of technology and computer science can be beneficial for young people with autism. A mother shares her son’s remarkable story as he marches toward independence with autism. The CEO and cofounder of a startup set on changing the way children with special needs learn and play shares tips for introducing robotic toys to kids. A comprehensive guide to therapies and interventions available for children with autism. Top advice from a registered nurse on ways to change the way your child with autism views menstruation using positive prompts. Great advice on useful tools and products from a mother of a young boy with autism. 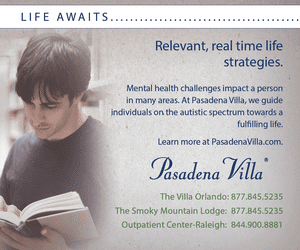 Learn the many positive benefits of this specialized therapy for children with autism. A retired doctor with a granddaughter with autism describes the relationship between hand dominance and development. Includes remarks from a doctor currently researching handedness and cognitive development. Expert advice on ways to manage this very typical behavior for young boys. This new book by Carol Dittoe, MA, CCC-SLP, and Heather J. Bridgman, MS, ATP, highlights how video modeling can be a highly beneficial strategy to support individuals with autism. The latest study reveals how supplementation may benefit children on the spectrum. Top advice for people with autism spectrum disorder who need help dealing with anxiety. How Will I Know if My Child is Eligible for Government Benefits? Expert advice on the importance of planning and strategizing when dealing with government benefits. Trouble-free recipe for creating a delicious and healthful dinner for your family. Oh, the acronyms and terms surrounding autism can be overwhelming, especially if your family is new to a diagnosis. Having a child with autism spectrum disorder (ASD) is one of the biggest challenges families have to experience, and finding the most up-to-date information can be overwhelming. And as your child grows and develops, so do his/her needs, making a commitment to continued research essential. As we all know, early recognition is key with autism, and behavioral, physical, and educational therapies are recommended to lessen symptoms while supporting development and learning. 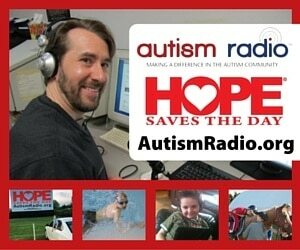 In an effort to assist families affected by ASD, we have devoted this issue to top strategies, therapies, and treatments for autism. Whether you have a child, a grandchild, a friend, or perhaps you yourself are on the spectrum, this is an issue you won’t want to miss. 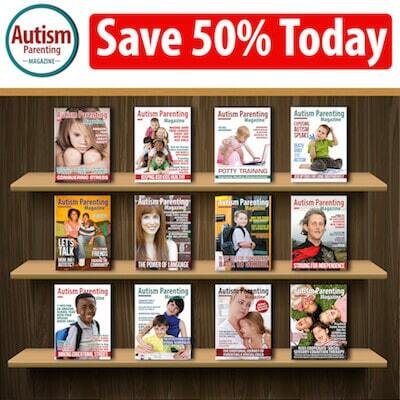 We are excited to share with you our exclusive Autism Parenting Magazine guide within this issue called The Ultimate Guide to Autism Therapies and Solutions. This comprehensive guide to popular therapies and interventions includes topics such as educational and behavioral therapies, social and communication skills interventions, special diets for children with autism, and sleep interventions and therapies. As we all know, every child is very different, making it imperative to educate and establish a tailored plan. 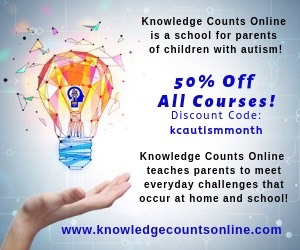 In addition to this guide, we connected this month with several therapists and parents of children with autism and asked for advice on specific topics. First, we would like to introduce you to Laurie Willmott, a woman who has impacted the lives of children with autism through trained therapy horses. Please take a look at Sheryl Green’s exclusive interview with the founder of Spirit Therapies, an organization that uses horses to help children with autism grow. In her piece, Exciting Ways Equine Therapy Can Help a Child You Love, the author gives us a good look at how horseback riding can improve learning, talking, and balance for children with special needs. 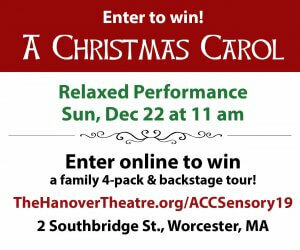 Does your child experience high levels of anxiety and stress? If you said yes, then you need to read Bailey Rory’s interview with Bek Wiltbank, an occupational and craniosacral therapist. 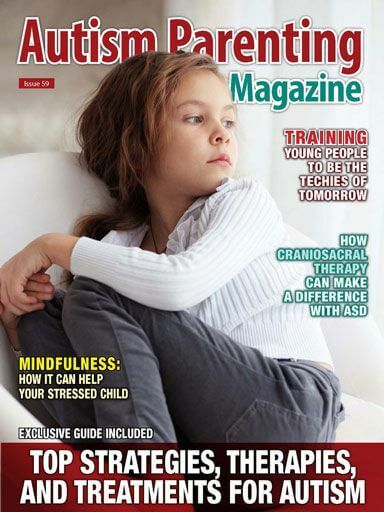 In her piece, How Craniosacral Therapy Can Make a Big Difference with ASD, Bek shares the positive benefits of this manual, hands-on form of therapy for children with autism. It’s remarkable how craniosacral manipulations can promote improved health, both physical and emotional, via a gentle touch to the head, neck, and spine. Finding strategies that work for your child can be a process. One tool for learning, for example, may make an enormous difference for one child but do little for another. Since digital tools play such an important part in our daily lives, we are delighted to share Jana Rooheart’s piece called 10 Digital Tools That Can Help Your Special Needs Child. Read as this former educator for special needs children shares a variety of apps and other digital tools to help children and parents overcome everyday challenges. We also connected with Beth Rosenberg, an educator and founder/director of Tech Kids Unlimited, a NYC-based nonprofit offering technology classes to students on the spectrum, ages 7 to 19. Please take a look at her piece, Training Young People With ASD to Be the Techies Of Tomorrow, as she explains why learning the tools of technology and computer science can be beneficial for young people with autism. And if you’re search of tools and products to assist your child with everyday life, take a look at Courtney Barnum’s article called Top 10 Things My Child with Autism Needs in His Life. From weighted blankets and body socks to fidgets and sectioned plates, Courtney shares her advice on useful tools and products as the mother of a young boy with autism. Finding the answers you need as your children develop can be challenging, especially when the conversation turns to sexuality and puberty. We recently received an email from a reader who had a concern about her five-year-old boy’s masturbatory activity, which we passed on to our monthly contributor, Angelina M, MS, BCBA, MFTI, for advice. Please take a look at HELP: My Little Boy is Showing Masturbatory Behaviors as Angelina provides her explanation for the behavior and gives tips on how to deal with it. Another tough question we receive from our readers deals with how to handle menstruation with autism. If you know a young woman who could benefit from some guidance, please read Maria Rohan’s piece called Expert Advice on How to Help Girls Handle Menstruation, as the registered nurse provides ways to alter how your child with autism views menstruation using what she refers to as the Prompting Happiness Theory. Maria also offers some great tips regarding the physical aspects of menstruation. 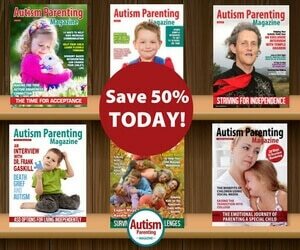 It’s crucial here at Autism Parenting Magazine to be able to provide our readers with the most up-to-date information and professional guidance surrounding autism. We are thrilled to announce our Facebook page reached more than 100,000 ‘likes’ this past month. If you don’t already follow us, we invite you to join our community.